Why standard forecasting analytics models fail to deliver in today’s world of complex digital networks and why telcos need a domain-specific analytics solution. “Your analytical dashboards and visualizations look good, but I prefer actionable reports and insights”, said the deputy CEO of a Southeast Asia-based telecom service provider during one of our meetings last year. This was not just one odd instance. We have heard this many times in the past year from other CSP executives. There are many domain-agnostic AI/ML based analytics solution providers in the market, but what telcos really want is an analytical solution which provides end-to-end domain-specific actionable insights. Forecasting traffic or pointing out anomalies is one thing, but how to incorporate those recommendations into capacity planning? What is the root-cause for that anomaly so that it could be prevented in future? 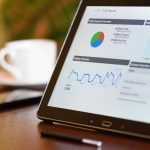 Instead of getting lost in analysis paralysis amidst thousands of fancy statistical metrics; a simpler, actionable and reliable predictive analytics solution is the need of the hour. 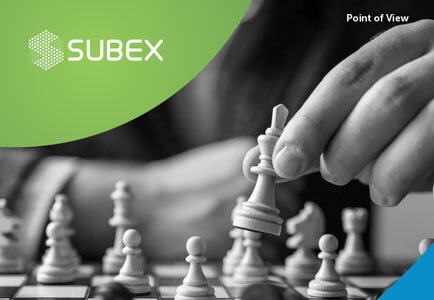 With the right mix of domain knowledge and analytics advantage, centered around the actual requirements of the network planners; Subex has come up with the concept of actionable predictive analytics. Network planners should be enabled for efficient, reliable and cost-effective capacity planning. Hence, here the focus is more on what matters to the telco network teams, i.e. 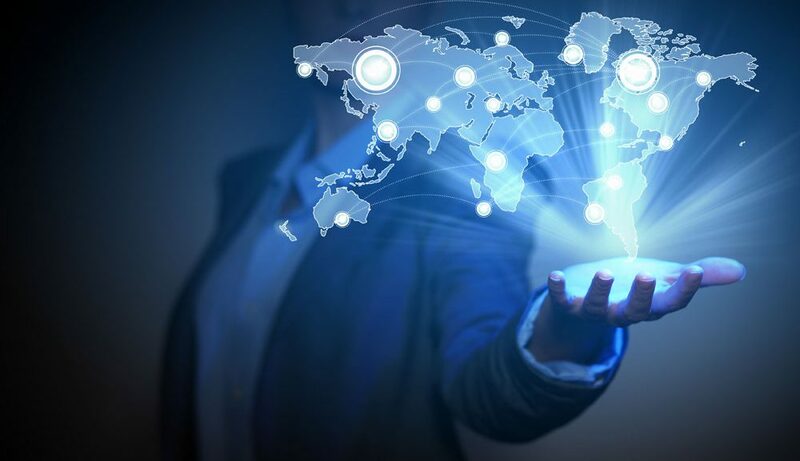 the business values such as capex optimization, network performance improvement, customer experience enhancement and operational efficiency; rather than on underlying analytical components such as configured models or feature engineering. 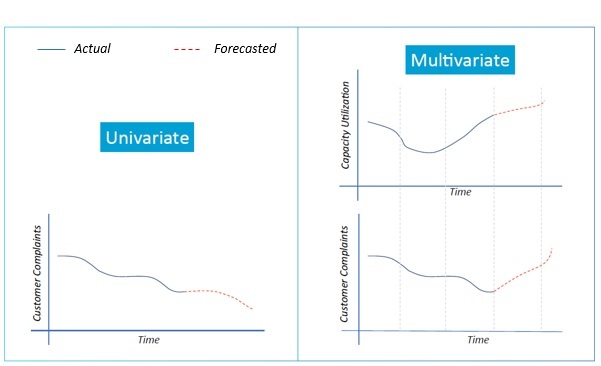 Unlike the traditional forecasting systems which predict the future trends for a metric based on the historical pattern of that given metric, in multivariate approach, the system understands the lagging or leading effect on the given KPI from other KPIs. 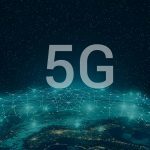 With this, the telco can predict, in near real-time, what is going to happen in the future and adopt appropriate measures to prevent capacity issues. A multi-variate, self-learning forecasting model which runs on the in-house machine learning platform is complemented by domain-specific configurations and expertise which is equally essential for intelligent forecasting. The figures below compare a multivariate model scenario that considers the lagging effect of KPI1 (e.g. customer complaints) on KPI2 (e.g. capacity utilization) with that of a traditional model that does not give such insights. In the first case, the operator does not get accurate results as yielded in the second case because there is a direct relation between traffic and customer complaints. For example, if there was an aberrant increase in traffic, the operator can take that fact into consideration for accurate prediction of future customer complaints. One more use-case could be accurately predicting the time to capacity exhaust for a site if one of the neighboring sites is planned for decommissioning soon. In this case, with the help of geo-spatial analytics, the additional load on the given site due to decommissioning of the neighboring site would also be considered for calculating time to capacity exhaust. Be it wireless or hybrid fiber-coaxial networks, even an accurate capacity forecast is incomplete without the required domain-specific insights. Without a proper root cause analysis for a network element exhausting soon (in terms of capacity), the network planners won’t be able to make the right decision about its proactive mitigation. How many customers will be impacted when a given network element hits a capacity exhaustion threshold? 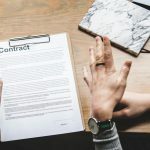 Will prioritizing the given candidate for capacity augment above other options result in the best customer experience improvement and maximized ROI? What is the reason for this capacity exhaust? Is it because of seasonality, periodicity or cyclicity? Is it an anomaly due to some one-off event? Will new Capex be required to address the capacity bottleneck, or are there alternatives to new spending? 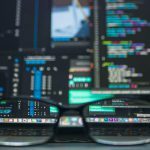 Apart from the above two key differentiators, some other important aspects for a pragmatic, accurate and reliable predictive analytics solution are scalability and flexibility. Multi-variate forecast models need to run thousands of simulations across the network to identify the correct correlated metrics for accurate predictions. Such models need to be configurable, flexible and easy-to-understand for non-data scientists. Anshul is an Associate Product Manager in the Network Analytics team at Subex. 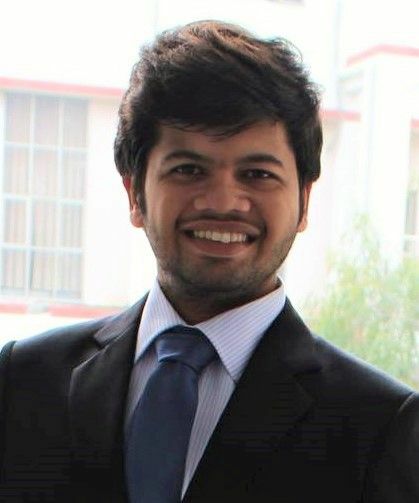 An IIT alumnus, Anshul has more than 4 years of work experience which includes working with two of the largest telecom operators around the world – Bharti Airtel Ltd. and Reliance Jio – across various markets within India. His stints at Airtel and Jio included Network Planning & Operations, Customer Experience Enhancement, Algorithms and Analytics for Network Performance Optimization & Automation. Anshul has two patents in the field of coverage & capacity optimization in LTE radio networks on his name. Network capacity planning is not a piece of cake! It’s a complicated effort that demands several considerations – not just the capacity of the network, but also the type and volume of the traffic at different periods. Network planners should also be able to estimate the current and future capacity needs and make investments wisely. Capacity planning involves identifying the areas of network congestion and underutilization and distributing the traffic evenly across the available networks. Considering the sheer number of users across the network, it would require considerable effort from the operators to achieve the results. This is important because the ROI from your network investments depends on how efficiently you utilize the resources. Not just that, it also depends on how accurately you estimate future capacity needs. Well, abnormal traffic scenarios crop up out of nowhere. A catastrophe, a sensational video or a political upheaval can be the cause of a sudden increase in network traffic. In such cases, all your network planning strategies can go haywire. As you know, it is utterly impossible to predict such situations, but unfortunately, the likelihood of such instances is also very high. The only way out for Telcos is to prepare the networks to confront such challenges before they impact the customer experience. On the contrary, there are scenarios when the networks remain underutilized for several hours a day or night. This pattern is often cyclic and driven by user habits. For example, network utilization is minimal during nights for almost all customers. For business users, the usage is less during weekends. For network planners, these idle hours translate into a significant business loss. Though they are aware of these facts, many Telcos are still not able to drive strategies to optimize the network during the idle hours. Let’s now think about the investment. One of the major concerns for an operator is to identify and prioritize the investment areas. Well, you must have identified hundreds of coverage holes where investments are urgently required; however, you may not be able to throw money in all of them at one go, right? How do you prioritize them and pick the best area suitable for your budget? How do you ensure that these investments will yield immediate returns? It’s a well-known fact that capacity constraints severely impact the customer experience. Today’s on-the-go customers do not compromise quality. Any network issues can result in customer frustration. Hence, identifying the potential areas of capacity constraints becomes a priority in network planning. Come to the case of VIP customers. They are the elite group not just due to their social status but also because of their relevance in your business. With several thousands of followers, they make an impact with everything they speak or do. If the poor network affects their day’s activities, it will turn out to be a disastrous deal for you. Think how they will directly or indirectly boost your customer base if things happen as per their wish. Next, is your capacity planning strategy designed in line with your marketing goals? Why should it be so? Well, the first and foremost goal in any marketing strategy is to identify the potential customers. Before launching a promotion, you should first determine who are the best targets for the products. This requires a proactive marketing approach, which means that you should have the products designed with these customers in mind. For example, before launching a 4G offer, you should understand the availability/affordability of 4G phones among your target group. How will you achieve this? Gaining insights into network traffic, customer usage habits, marketing metrics, and market pulses require a dedicated network planning. Stay tuned to know how Subex’s approach to capacity planning helps Telcos address these challenges. 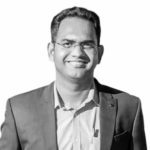 With over 8 years of work experience Saurabh brings a rich blend of diverse strengths and knowledge, encompassing product development, Customer Experience Management, radio network expertise, and business consulting. In his current role as Director-Business Consulting at Subex, Saurabh is responsible to help improve Subex their Network Analytics portfolio offerings by assessing weaknesses, recommending solutions and performing technical sales. Prior joining to Subex, he has worked with some of the giants around the globe- Bharti Airtel, Nokia, HCL Technologies and during his association with respective companies he has played crucial roles in UMTS and LTE rollouts. 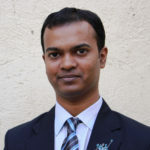 He holds a Master’s Degree focused in International Business from Symbiosis Pune. The internet waits for no one! It is changing the way businesses run and in today’s era, digital economy is not a distant dream but a reality. As promised in my last blog, I will elaborate on the key strategies that I disclosed in my previous blog which will help CSPs in their digital transformation journey to become Digital Service providers and thus drive the economy. Core Rediscovery – As said earlier, being digital does not always mean discovering new revenue streams of the digital world. It also means doing the basics brilliantly. Ensuring innovation can be brought with in the traditional services. It also means identification of a new way(s) of doing business to pull in more revenue, a classical example in interconnect business is Origin based billing & routing. Other ways of innovation are Direct CSP billing – MVNOs to cater to niche markets to indirectly gain customer base and revenues. SaaS models like billing-as-a-service to support smaller partners. DVBT2 – Digital Video Broadcasting, SMS based Cab booking, Toll free based calling Apps, Secure SMS/Missed Call – Mobile Banking etc. Rating and discounting models to define rating plans that can also assist in bringing in more revenue generation opportunities for existing and new traditional partners. These can be revenue share models or the new age models like pay as you go. Discover New – There is absolutely no denial that digital world is surely opening new revenue streams for CSPs. The mantra to grab a share of this pie is to act fast. CSPs need to establish a fail fast strategy so that they can identify core area of strength early in the digitalization journey. Fail fast strategy shall enable them in continuing only with those new streams that make sense to the eco system in which they do their business. No doubt, IoT & M2M are the most fascinating areas in digital world. 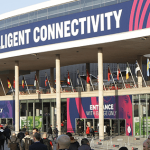 Other areas where CSPs can generate revenue are APIs, Analytics as a service, supporting new age MVNOs like Uber and Micheline (Tier-as-a-service), smart homes solutions provided by Qivicon founded by Deutsche Telekom. Digitalization is fueled by the capabilities of operators, and hence the outreach of the operators is now domain agonistic. Collaboration Platform –With digitalization, difference between a partner and the end subscriber relationship is becoming blur. Partners also need attention and care like your end subscribers. CSPs will fascinatingly find innovative partners in garage companies, startups, small organization etc. Hence it is terribly essential that CSPs have a collaboration platform that addresses partner empowerment issues. There are two ways in which operators can bring in novelty. One is by revolutionizing their own, which we see in the case of the telecom giants acquiring platform that enables the disruptive capabilities inhouse. The Another way is to look for vendors who can provide them a converged platform to leverage the entire gamut of the partner ecosystem. The end goal is to stay ahead of the competition by providing traditional and digital services to end customers. Customer Experience – Telecom market used to be oligopoly in nature, wherein the major players of telecom industries use to commodify the subscribers to mint money out of them. Whereas now, in a perfectly competitive transition, we need to shift the paradigm to make customer and CSP relationship more human centric. This will help a CSP in designing the offerings to ensure consumer retention and to win new customers. The new age subscriber is demanding in nature and prefers an operator who is agile, innovative and cost effective. Below is the survey shared by Capgemini, which shows low net promotor scores of mobile operators. This survey also talks about that 58% of customers are willing to switch to Digital only service provider and high value customers are more willing to change. Unless operators reform their customer satisfaction approach, the NPS will stay low and operators will keep losing revenue and customer base to digital players. Operational Efficiency – Digitalization will lead to increase in number of partner relationships. Soon a CSP, during its transformation journey, will experience partner explosion. Digital services will result in plethora of data getting generated. To keep things under check, a CSP must bring in efficiency by making its operations also digital. Operations can be digitalized by automation, reducing redundancy of systems and data, seeking help from domain and system experts (consultation and managed services), empowering partners with self-care capabilities. 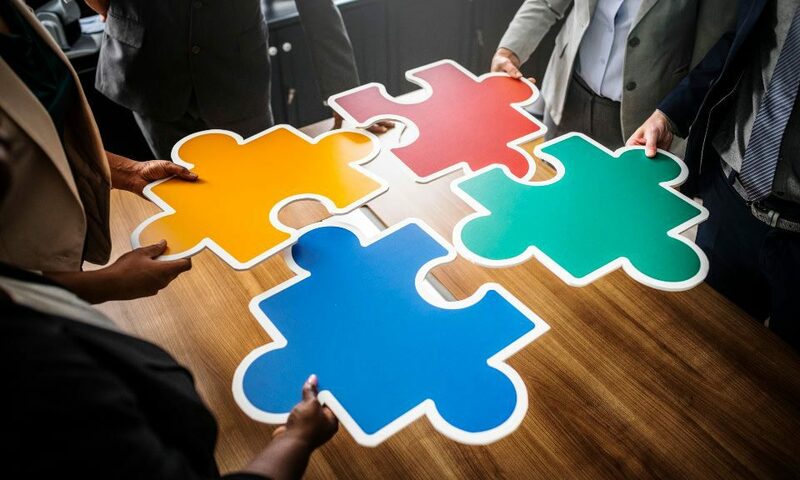 CSPs design their partner handling capabilities both in terms of processes and solutions considering mostly trusted partners, hence the partnerships are also limited and the systems are also multi step and user dependent. In case of digitalization, CSPs need to associate with multiple entities who can bring in renovation, hence will see surge in partnerships. To handle partner explosion, processes of on-boarding and partner care should be particularly efficient. Partners are the new age customers, they are aware that they bring innovation and new revenue stream for a CSP, hence they should be treated with lot of care. Having an efficient eco-system for partner will surely bring in satisfaction and shall maintain a healthy partnership. Expense Optimization – Expenses are inversely proportional to profit. An aspiring digital operator must form a strategy around cost reduction. Based on a research house, software industry is gradually moving towards convergent approach from siloed ecosystem. This helps in reducing overhead of investing in multiple systems. Leveraging solutions that are based on open source technologies is another way of optimizing hefty recurring costs. If a telco can bring in operational efficiency, expense optimization will happen automatically. This transformation will be a challenging journey for both CSP and its partners, but this will surely help an operator to rediscover itself and shall bring in more agility to accept and act on whatever comes down the path. 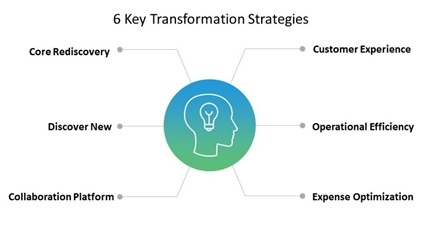 Though there are many other factors and strategies that can be adopted along with the mentioned ones, these 6 strategies are our take on the transformation journey. However, it is very important for an operator to clearly identify the purpose of its modification, but it is completely okay to move step by step instead of adopting all 6 strategies at once. To start with the transformation, CSPs should reexamine the existing offerings, existing expense optimization plan, make the current operations efficient and ensure customer satisfaction in the existing services offered. Once there is a clarity in becoming digital in current line of business, identification of new streams will automatically fall in place. We are discussing these strategies in detail at our booth (Booth # 5F10, Hall 5) in MWC 2018. Meet us in the booth to know more about how we can help in your transformation journey to drive the digital economy. Sunay currently serves as the Product Manager of Cost Analytics portfolio. He specializes in Telecom Partner Settlement, Route Optimization, Interconnect Billing and Order Management/Provisioning. He has 10 years of experience in the Telecom Industry. He is also a keynote speaker in forums like GSC and an active contributor to online forums related to partner settlement. In an ever-changing state of communication, innovation has become quintessential force that is driving the digital economy. Looking at the current trends, every organization wants to go digital. Being digital holds different meaning for different organizations based on the nature of their business. But when it comes to the telecom world, going digital is more of a catchup rather than a race to be a pioneer. A lot of non-telco players are already digitalized from day one, and that too by using CSP’s platform and customer base. Rise of OTT players and other disruptors have done a significant damage to the traditional voice and text business as well. 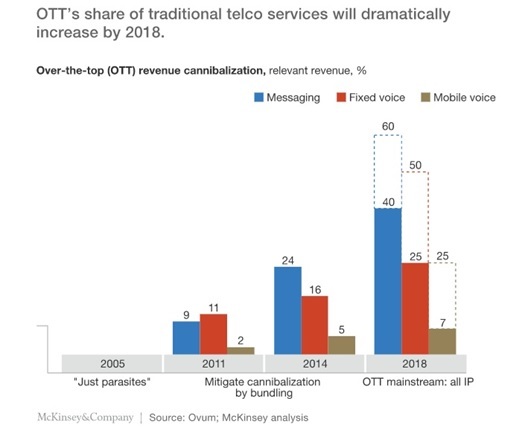 The consulting leaders such as Ovum and McKinsey predict the success of OTT players in capturing a significant share of telco services. As the number of years ascends, the revenue graph takes an inverse fall and this analysis makes it important for CSPs, who have the best of world resources in the form of capital, customer base, infrastructure and brand name, to start doing things differently by shifting their focal point from just a traditional to a mix of traditional and digital services. Now is the time for the CSPs to take the process of metamorphosis seriously. (Based on GSMA figures,) The period starting from 2016 to 2020 will witness substantial ballooning of the data and connectivity indicating clearly that digitalization is going to play a pivotal role in service providers growth and thus will help in balancing the loss incurred due to reducing revenues from traditional services. The transition from communications service provider (CSP) to Digital Service Provider (DSP) cannot be a quarantined approach. It requires partnership with innovators/disruptors to bring in new services and experiences. Confederation of progressive vendors with digitalized vision is indispensable in providing solutions that can support this transition. CSP to DSP transformation approach cannot be concentrated around only new revenue streams. Industry experts have defined DSP as a service provider whose, not only services, but also operations are under the single umbrella of digitalization. One who provides services as well as operations, both digitalized. We have a strong view that there are lot other areas which are still left untapped. Looking at the current scenarios, there are 6 key strategies that are listed based on the idea of helping CSPs in increasing their revenues by bringing innovation and creativity in their existing services, acceptance of new technologies, sustaining demanding customer base and reducing operational & transformation expenses. Below is the list of our 6 key digitalization strategies that are recommended for a progressive CSP during its transformation. In my next blog I will elaborate on these strategies in detail and discuss how it will help CSPs to transform themselves into DSPs and thus help them to drive the digital economy. Stay tuned! ..but that’s not my responsibility! Now that’s something that we’ve all heard at our workplace at some point..and believe it or not, its not entirely incorrect. While efforts are made by every organization to eliminate ‘silos’ in functioning, the inherent nature of this structure results in unidentified hand-offs, ineffective information sharing during hand-offs and compartmentalized view of processes leading to challenges in measuring, improving and most importantly identifying ownership of cross-functional processes. In many instances, different verticals end up shifting accountability of such cross-functional processes at the expense of progression. The pace at which technology, markets and customer demands are changing in present times demand a level of agility within the organizations to respond and keep pace with the market and competition. This places an enormous stress on the organizational structure, particularly on the handoffs between verticals. Managing millions of dollars’ worth of Network Capex within a Telco is a cross-functional process which experiences similar issues of ownership, handoffs between verticals and lack of a common, centralized view leading to ineffectual Capex tracking much less calculating effectiveness of these Capex investments or return on investments. Typically, Finance is the identified owner of Capex investments in a Telco but most Finance teams struggle with deployment of Capex in the network and more importantly tracking and calculating the return on network Capex investments as they are heavily reliant on Operations team for this information. 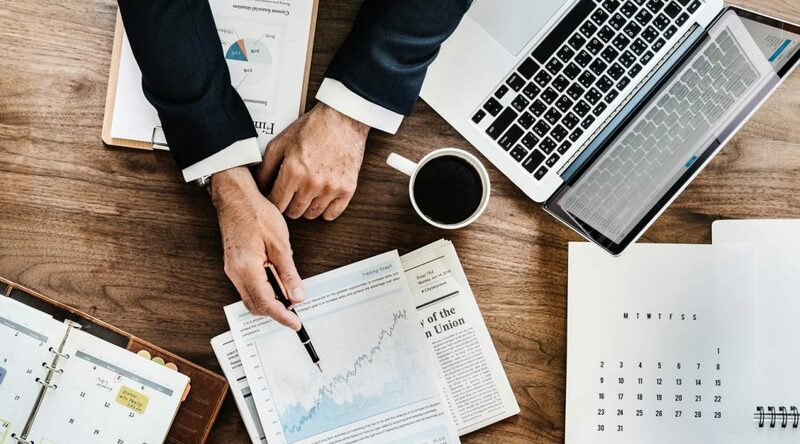 Enabling strong capital management practices is much more than operational or process changes in the organization; it is a fundamental change in the outlook of an organization. Embracing this change will enable agility, data integrity and measures for optimization, better equipping Telcos to respond to the rate of change in the industry..and that should be everyone’s responsibility! Parag is a seasoned professional with rich experience in Telecommunications B/OSS space. In his current role, Parag leads the Consulting practice for Subex Network Analytics portfolio in Emerging Markets helping Telcos identify, manage and optimize avenues to achieve efficiency in Network Capex investments. He plays a key role in Product positioning & differentiation strategies, Functional & Technical solutions and Consultative selling. With experience in diverse roles over the past 12+ years, ranging from mission-critical Network management, Business Analysis, B/OSS Delivery & Project Management and Consulting, he has successfully led transformation programs at Telcos helping them achieve business goals of automation, operational efficiency and improved cash flow.